Ladies and gentlemen, start your grills! The Similkameen is about to name a new Similkameen BBQ King! 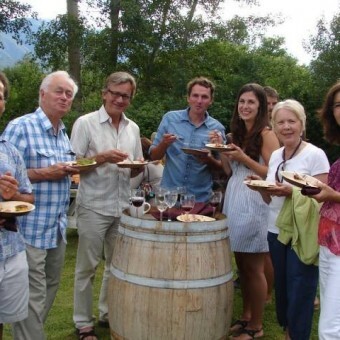 The annual Similkameen BBQ King event will be held on Saturday, July 9th from 5-9 p.m. at the Old Grist Mill & Gardens in Keremeos. This truly unique Similkameen wine and food experience is a competition where top chefs from our region compete for the coveted title of Similkameen BBQ King or Queen. Competing chefs create unique dishes for the guests using ingredients from local Similkameen farmers in the heart of Canada’s organic capital. Attendees at the event will go from station to station enjoying the foods prepared by each chef, along with paired Similkameen wines. Then all attendees get the opportunity to cast their vote for the best wine and food pairing!